Greenskins have been a powerful and influential force throughout Warhammer Lore. Made up of both Orcs and Goblins, the Greenskins are one of the main forces of destruction in the Warhammer miniature, role-playing, and online games. Throughout Warhammer Lore, orcs have always been the big, brutish bullys of the world. Not overburdened with an abundance of education or IQ points, they tend to be nomadic, living in small tribes that frequently battle eachother for no apparent reason. They have no homeland to speak of, rather they take up residence in the ruins of lands that they have conquered. Occasionally, a War Boss will rise and unite them under one rulership, but even then there is much in-fighting. Orcs honor and respect size, strength, and brutality above all else. In battle, they prefer the brute force of throwing themselves into the melee to anything that actually resembles tactics. Traditionally, Goblins in Warhammer have been the victims of the Orcish bullying. This, obviously, is due to their small size, being about as large as an Orc’s stubby leg. They are often assigned to menial tasks that the much, much larger Orcs deem themselves too good for. Though also slightly more intelligent than Orcs, their main advantage is their cunning and ability to sneak around. When engaged in battles, Goblins prefer to stay unnoticeable, favoring ranged and sneak attacks. Goblins are also technologically more inclined than Orcs and are the makers of the Greenskin siege weaponry. In the Age of Reckoning, Greenskins, both Orc and Goblin, have been united. Serving as their War Boss’ are both a Goblin Shaman named Gazbag, and a Black Orc Warlord named Grumlok. The two have apparently created enough influence and force to unite all of the Greenskins against the Dwarven Empire, and have managed to conquer many Dwarven lands and cities. 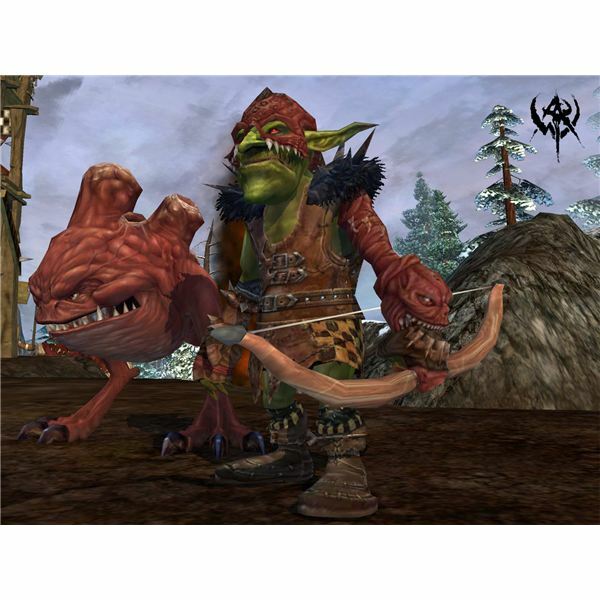 The Orcs in Warhammer Online are carbon copies of their classic tabletop predecessors, preferring melee combat, large weaponry, and brutal attacks. The Goblins, however, have stepped out of their role as dominated "younger-brother" types and have taken on the mantle of Greenskin intelligence. Literally, Goblins are the brains behind the Greenskin Waaagh and the Orcs are the brawn. Goblins prefer the roles of ranged attacks, Squig handling, and healing. Of all the races in Warhammer Online, Greenskin’s have the fewest career choices. There is only one career for Orcs, and only two for Goblins. I suspect that this is part of a plan by EA/Mythic to introduce new dynamics into the game at a later date. As you probably have guessed, the only Orc career available is a massive-weapon wielding meat shield, always at the front lines inflicting devastating melee attacks and absorbing tons of damage. Even though they’re intended to take more damage than they dish out, Black Orcs are still extremely deadly and can obliterate lightly-armored opponents very quickly. Squig Herders specialize in ranged attacks using a bow, as well as sending their Squig pets into close combat. 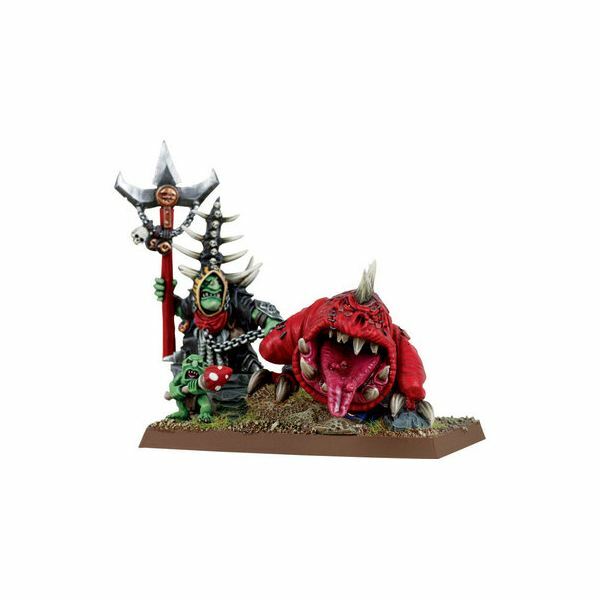 Squig Herders can hatch several different kinds of Squigs for all purposes, including riding in a Squig’s mouth for armor and dealing melee damage. Other types are a Gas Squid for AoE damage, and just straight up attack Squids. 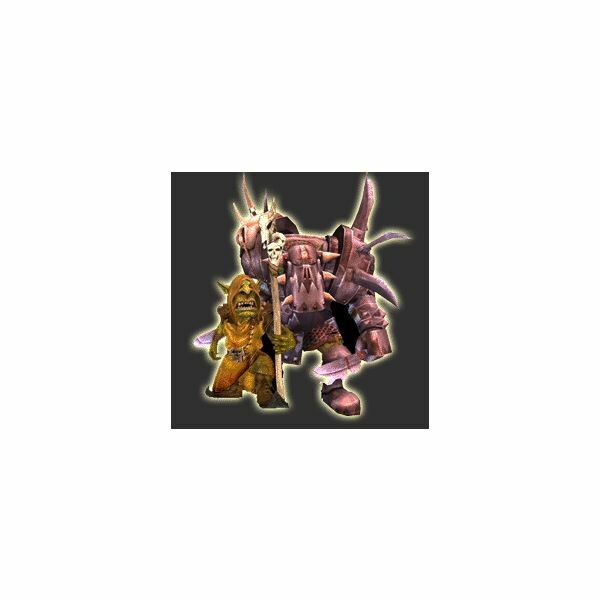 Goblin Squig Herders are one of the deadliest opponents on the battlefield because of their range, versatility, and damage output. Don’t let the archetype fool you. Shamans can dish out nearly as much damage as they are healing – usually doing both at the same time. This makes them a viscious opponent in 1v1 situations. In addition, their long-range and group healing abilities allow them to keep their heavily armored comrades healed and ready to go at all times while they avoid danger and stand far away from the font lines. Shamans are one of the most powerful healers on the Destruction side.